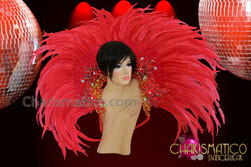 The backpack is quite large and beautiful with gorgeous big feathers. It is bright yellow in color. 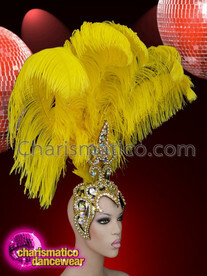 Also, it has crystals attached along its center which makes it more appealing. 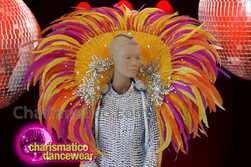 It is perfect for stage performances and is 100% hand crafted.